You'll need 1 piece of lemon and 2 cup of water. Slice the lemon and put it in a water. Mix it using the mixer for a while. Use cloth to filter it. Put it in a sprayer bottle. Store in a refrigerator. To Use : whenever you need, you just spray it. For styling or refresh your hair . Tips : A cup of Lemon Hairspray can be used up to 2 weeks if you add alcohol or rhum in it. 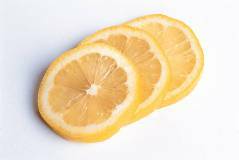 For a very dry hair type, you can replace lemon with orange. Re-hydrating hair mask : mash 1 avocado and 1 egg yolk. Apply to the hair especially in the ends. Wrap your head with towel and leave for 15 min. Wash your hair with cool water. Lightly shampoo and conditioner. Re-vitalising your eyes : mix a little finely chopped mint with some mash cucumber. Smooth onto eyelids and relax. Olive oil can be be used as a conditioner. 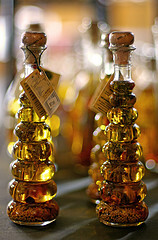 Just put 1 or 2 tbsp olive oil in a boiling water. Let it cool until warm. Apply oil on your hair and massage your scalp in a dry condition for about 15 minutes. Wet your hair with warm water. Before you wash your hair, you can use shampoo to cleanse the remaining oil. Last, rinse your hair as usual. Put warm water in a bowl. add a couple of olive oil. 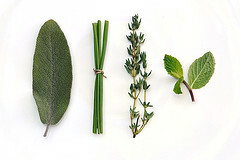 You can add lavender, eucalyptus or citrus oil to make it fresh.Soak your feet for about 10 minutes. Dry your feet with a towel. then put a lotion containing mint to refresh your feet. Light massage your feet to improve circulation. Try Muscle Comfort Lotion by Ole Henriksen. If your feet are sweating you can put powder to reduce sweat and unpleasant odor. 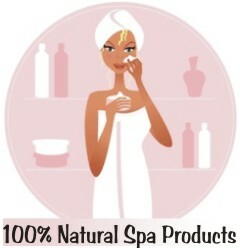 No need to go to a spa to get a natural beauty treatments. Look no further than your kitchen and garden to get the same result. For Body Scrub : Mix 1 cup brown sugar, 1 cup olive oil and 1 spoon of ginger grater. Use it to exfoliate skin with circular massage. 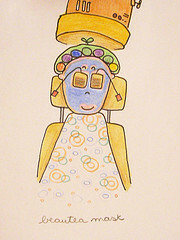 For Eye Relaxer : Use 1 used tea bag of chamomile for refreshing tired eyes. Close your eyes and put tea bag on to your eyes for 15 minutes. For Foot Treatment : Mix 2 cup of fresh milk with 1 cup of honey into a large bowl. Soak your feet for 15 minutes and massage them slowly. This will smooth your feet. For Face Mask : Cook oatmeal as the instruction given in a package. Then cool it down. Put it to your face and leave it for15 minutes. Wash with warm water. Mask for normal to dry hair : Mesh 1 avocado until smooth. Apply on your damp hair then wrap your head in a warm towel or plastic cap for 15 minutes. Next, usual wash with shampoo and conditioner.